Using this technology one can update the voter’s details listed on the electoral roll. Booth in charge can update the present situation on the election day. Accordingly, party workers can be asked to take convenient action in “Get Out The Voter” for voting. All the details of the voters, developmental work, Jan Sampark, Household Info, Mobile numbers of the voters, caste demographics and voting trends can be managed effectively for making the analysis. 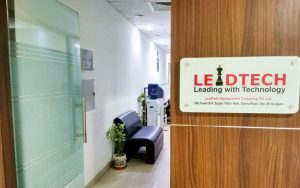 Now, Leadtech is developing a promotional app to communicate with the voters effectively. 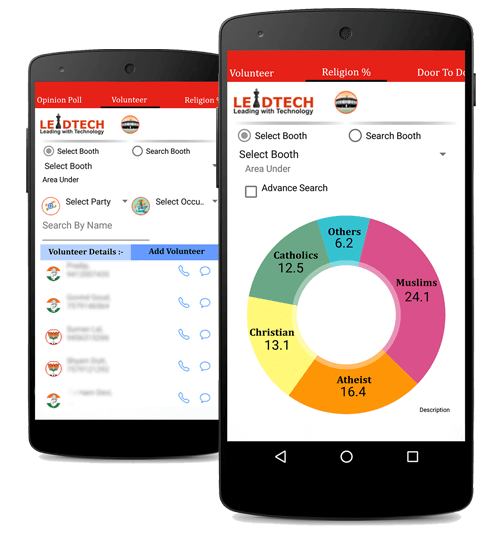 Using this app, people can download leaders app to express their concern, inform regarding developmental issues, the invitation can be sent quickly, and finally can help in making more party workers and volunteers.